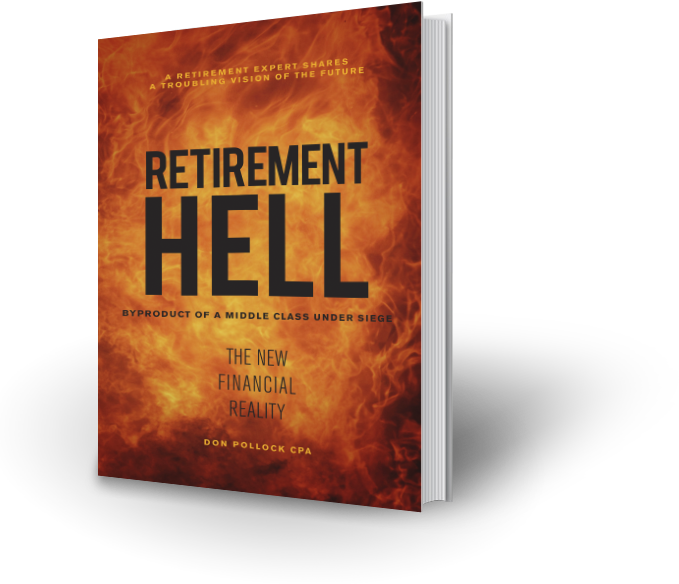 Retirement Hell – Byproduct of a Middle Class under Siege presents a bleak picture of retirement for many families. Baby boomers are retiring at a time when graduating students are entering the workforce with significantly fewer opportunities than their parents and grandparents. Factories will continue to close; while robotics and artificial intelligence will allow companies to produce more products with fewer, but highly skilled workers. As boomers move to retirement homes and into the great beyond, they have left two types of legacies. On an individual level, this generation has accumulated incredible wealth which will be transferred to their beneficiaries. However collectively, the most privileged generation in history has left behind a world that will cause future governments to spend too much time, effort and money attempting to clean up issues that were left unresolved. There is a sense of both anger and frustration in our community. Working families are angry that plants are closing and well-paying jobs are disappearing. They understand the impact on their family and believe our political leaders are unable or unwilling to address these issues with anything but rhetoric and unfulfilled promises. Those higher up the economic ladder with a better education and secure jobs may not share their anger, but they have a sense of frustration that their children may not have the opportunities that were afforded to their generation. A demographic spike known as the baby boomers is retiring and the mess they leave behind will handcuff attempts by future generations to define their destiny. Don shares a vision of the future that is not optimistic for a growing segment of the population and he fears his generation lacks the expertise to resolve the issues. How the boom in manufacturing after the Second World War created a middle class. Children born in the two decades following the Second World War, which came to be known as baby boomers, had more opportunities than any generation in history. For retired boomers that graduated from university and worked their entire career for a top tier employer, it would be more common than not to retire as millionaires. This assumes they purchased a home and were not subject to divorce, illness or some rare financial calamity. The boomers had a wealth creation formula that many did not know existed, but it has become obsolete and has been replaced by a new formula that individuals can ignore at their peril. As the manufacturing sector shrinks, the growing parts of the economy, such as technology and health care, require skills that are not possessed by too many young men and women. Restoring the middle class may be the greatest challenge that we face in the next decade.